Amazon announces its second Go store in Seattle, six months after opening the first one to the public. 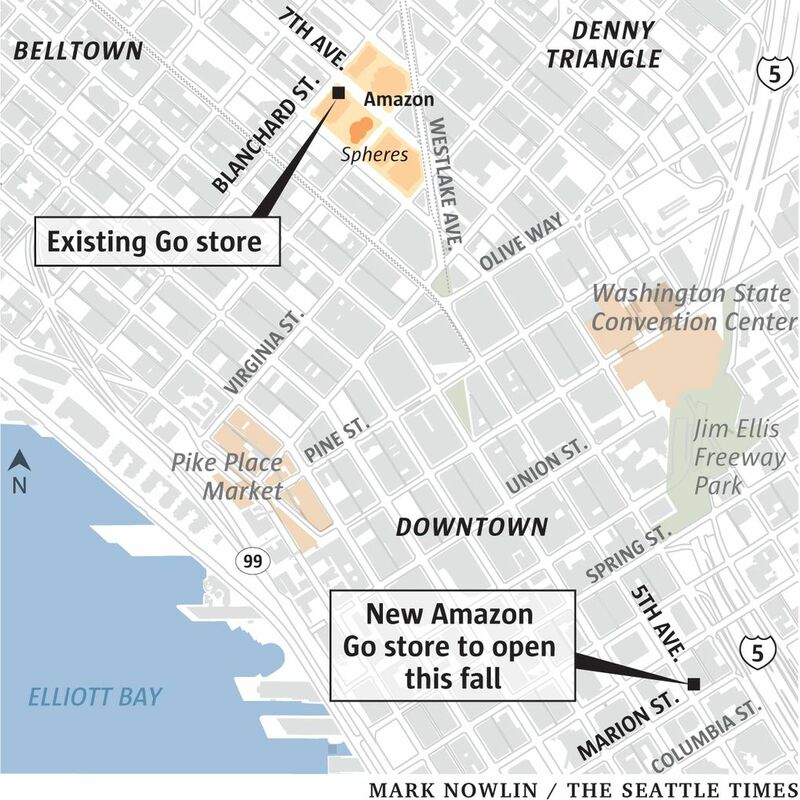 Amazon is sticking to its hometown for the second location of its cashierless convenience store, with plans to open a Go store this fall in downtown Seattle. The checkout-free store will be located in the heart of the city’s business district on the corner of Fifth Avenue and Marion Street. There’s no word yet on the exact opening date. 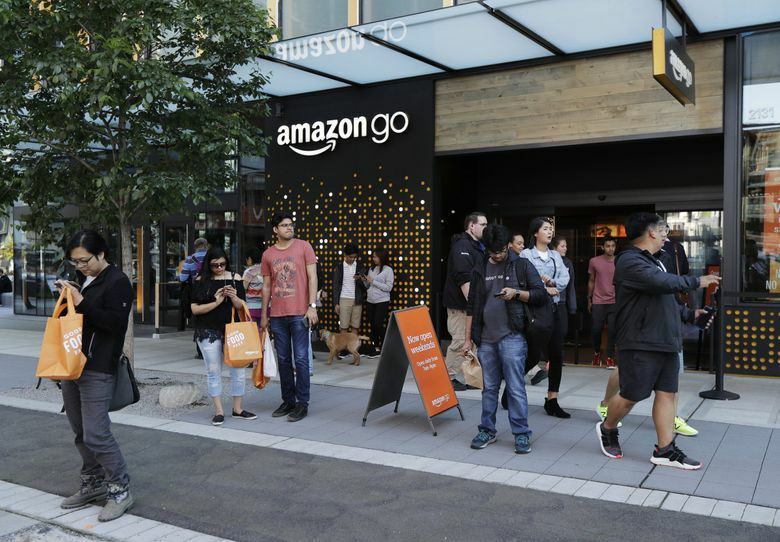 Amazon opened its pilot Go store to the public in January, after more than a year of testing the format with employees. The store, located on Seventh Avenue next to Amazon’s headquarters, requires customers to scan an app on their way in the door. Cameras then track the customer’s shopping, making note of each item picked up and adding it to a virtual cart connected to the shopper’s Amazon account. When a customer is done shopping, they walk out of the store and their Amazon account is automatically charged. The Seattle e-commerce giant confirmed this spring that it planned to open future stores in Chicago and San Francisco, though it didn’t say when. Go stores seem destined for concentrated urban areas, where office workers search for lunch options. She declined to offer further details on the store, including how big it will be and what it will sell. The first Go store is 1,800 square feet and sells typical convenience store fare – beer, sandwiches, chips, sparkling water. It’s staffed with employees making deli sandwiches and other prepared meals and workers to help customers, but was criticized by the grocery-store workers’ union for a level of automation that cuts jobs. Amazon’s foray into physical retail locations also includes its Whole Foods stores and bookstores, both of which also sell the retailer’s electronic devices, such as the Kindle and Echo.